Who better to hold onto your money than the Merc with a Mouth? He's too crazy to spend any of it. 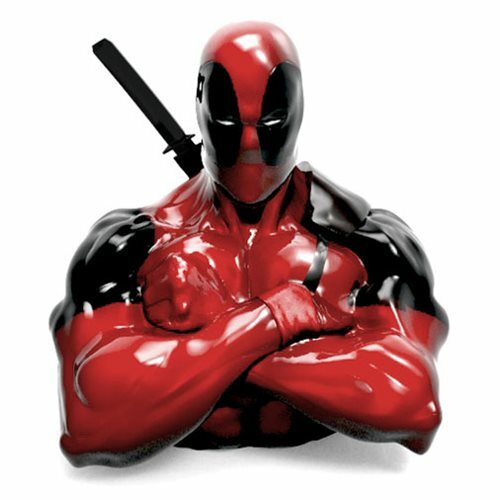 This Deadpool Resin Coin Bank features the popular character with arms crossed, ready to get up to no good. Measures 8 1/2-inches tall!